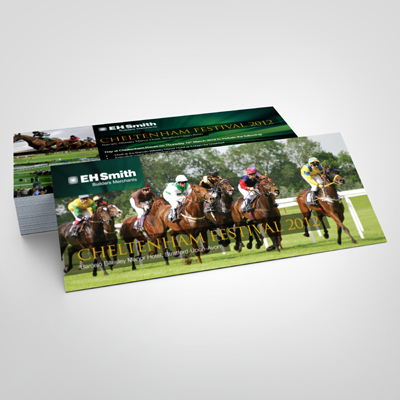 We also offer a range of 350gsm folded cards. Order by 1pm to receive your A6 folded cards and A5 folded cards next day. Looking for Next Day Leaflets? View our Next Day A6 Leaflets, A5 Leaflets and A4 Leaflets printed on 130/170gsm paper. It's a thin durable film that is applied to the sheets prior to trimming. Gloss lamination lifts the print making colours more vibrant while Matt lamination gives your flyers a luxurious feel. Using our printed next day DL flyers is one of the best direct marketing tools available to many businesses. Focusing on your local market with letter box drops and mail outs can generate a lot of business from within your community but in order for it to be effective you need to have a steady supply of advertising material. Our next day DL Flyers service ensures that you can rely on being able to buy the advertising flyers that you need as you want them. The next day DL Flyers come in a choice of three card stocks, 250gsm gloss or silk, as well as 300gsm uncoated card and there is also the option of double sided printing to maximise the effectiveness of our DL flyers. It is possible to order as few as 50 DL flyers and for orders that are placed before 1pm, next day delivery to any address in mainland UK is included for free. Prices start at a low £24 and for larger orders prices drop to as low as a few pence per flyer. Our modern digital litho printing process makes it possible to create full colour custom next day DL flyers and the convenient size is suitable for posting out your marketing material without the need to spend time folding your flyers to fit into an envelope. Uploading your own custom artwork to our website is simple, so it takes only a few minutes to create your own printed promotional flyers using our next day service. Your advertising represents you to your potential customers so to create the best image it is good to use professional gloss laminated flyers. With all of the flyers that people receive in their daily post it takes a sharp presentation to stand out. Using gloss flyers for your printed marketing material gives them an attractive finish that will give your flyer greater vitality. Ordering your laminated flyers from quadrantprint.co.uk makes it easy to create your own full colour laminated flyers as you need them. These flyers are a suitable size for many types of businesses and are easy to distribute because they fit through most letterboxes and into a standard envelope without being folded. The gloss laminated flyers from quadrantprint.co.uk are high quality, full colour printing and you can use any combination of images and text that you like to advertise your business. Because of our digital printing capabilities it is also possible to easily print smaller batches of a range of flyers in order to appeal to as many customers as possible. These gloss laminated flyers come in 250gsm and 300gsm card and there is an option for double sided printing to utilise your printed advertising to maximum effect. Our digital printing process allows for economical printing of small quantities so the order sizes for our gloss laminated flyers start at a low £29 for 50. Simply order online and upload your designs to the site before 1pm on any weekday and delivery is guaranteed on the next weekday anywhere in mainland UK.